Proper hygiene is an important part of food safety because it prevents foodborne illnesses. 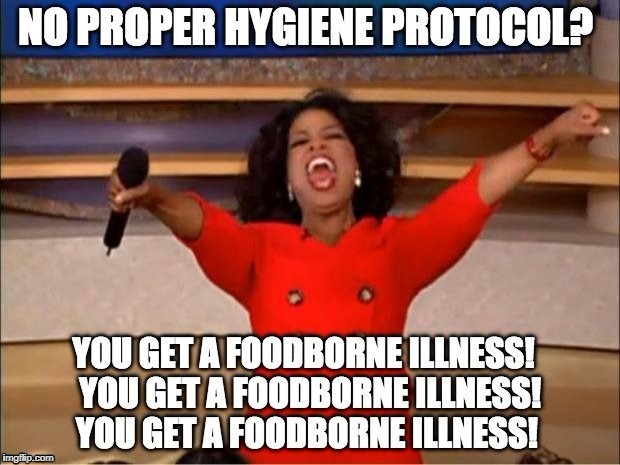 Foodborne illnesses are a significant threat to the reputation and financial success of a food operation. Two or more unrelated people having the same symptoms after eating the same food is the first indication of a foodborne illness outbreak. The state and/or local regulatory authority should then be notified and they will conduct an analysis to determine if indeed there was an incident and what caused it. Symptoms of Foodborne Illness can exhibit themselves within minutes of a customer eating tainted food or can take hours or even days to show up. Food that is adulterated or intentionally contaminated poses a threat that cannot be overlooked.